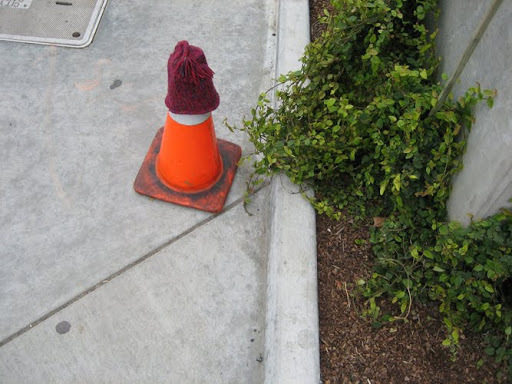 This entry was posted in color, street secrets, this is and tagged california, cone, cozy, cozy cone, oakland, observations, sidewalk, street secrets, this is, traffic cone by Alison Kranz. Bookmark the permalink. There is a picket fence in our neighborhood that was wearing a hat the other day, though it was a cute, pink baby hat. If this cone were wearing shoes, it would remind me of one of the great movies of our time, Toy Story 2.